I want to replace Sooloos with Roon (on a QNAP) and use my MS600 for audio. After registering and installing Roon it can't find the MS600 Endpoint. Do I have to completely uninstall and delete the Sooloos folders for it to work or what might be wrong? Roon can find my Apple TV that is also connected to my QNAP. You don’t have to remove the Sooloos files, however I would recommend disabling the application (so it does not auto start) and the reboot the QNAP. This suggests you have connected your MS600 to your QNAP? If not can you confirm you do not see the MS600 in the Settings, Audio section in Roon, it has to be enabled in the Audio tab before it can be seen as an endpoint. Is an Apple TV a Roon endpoint? Yes... it has been for a long time. Roon has to resample to meet the odd Apple sample rates etc.but it works just fine. 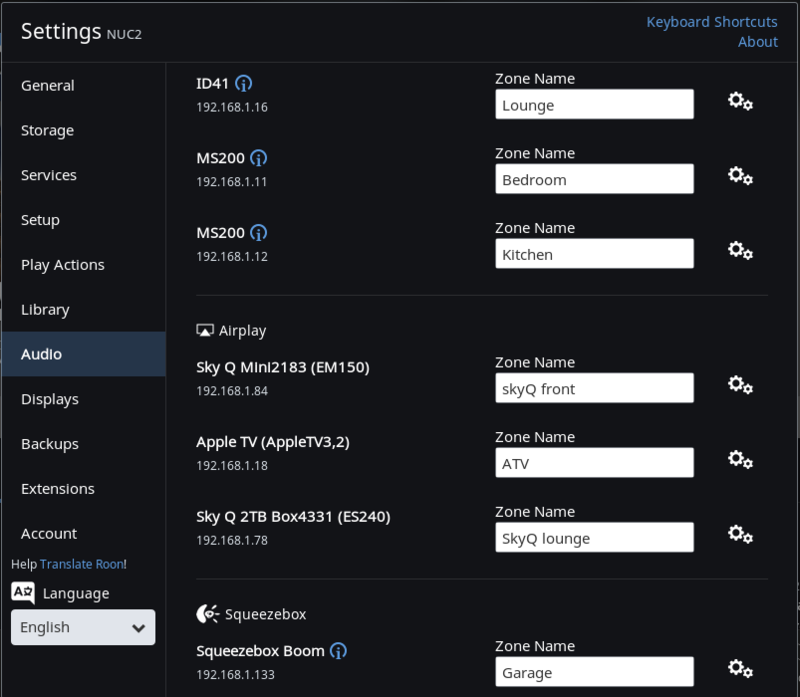 SkyQ boxes are also zones too. It's also a good reminder that Roon did evolve out of Sooloos and does a lot more as you would expect. For example, using SkyQ boxes as zones gives multi-room background music from the TV with no extra hardware.